The function of a lightning protection system is to protect structures from fire or mechanical destruction and persons in the buildings from injury or even death. 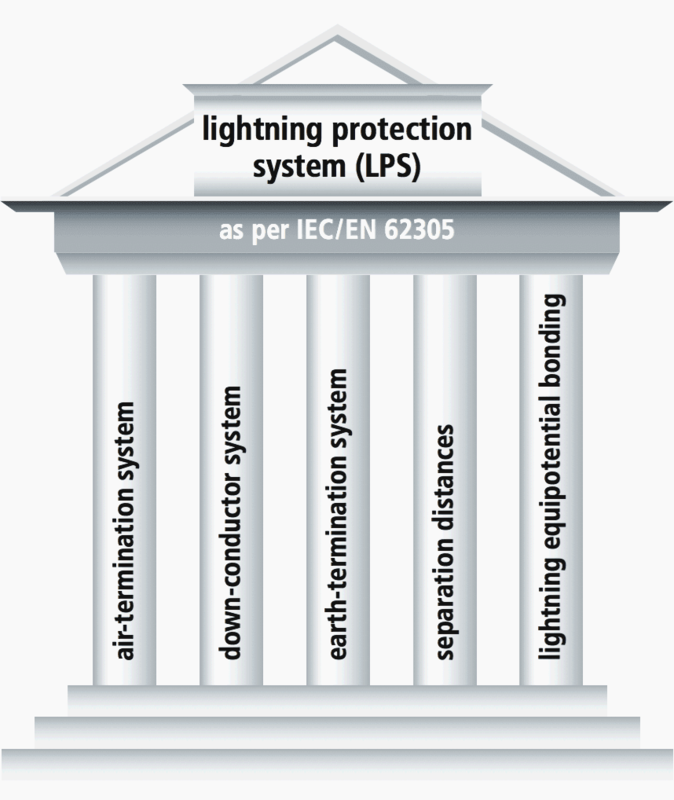 A lightning protection system consists of an external and an internal lightning protection system (presented in figure 1). The function of the internal lightning protection system is to prevent dangerous sparking inside the structure. This is achieved by establishing equipotential bonding or maintaining a separation distance between the components of the lightning protection system and other electrically conductive elements inside the structure. 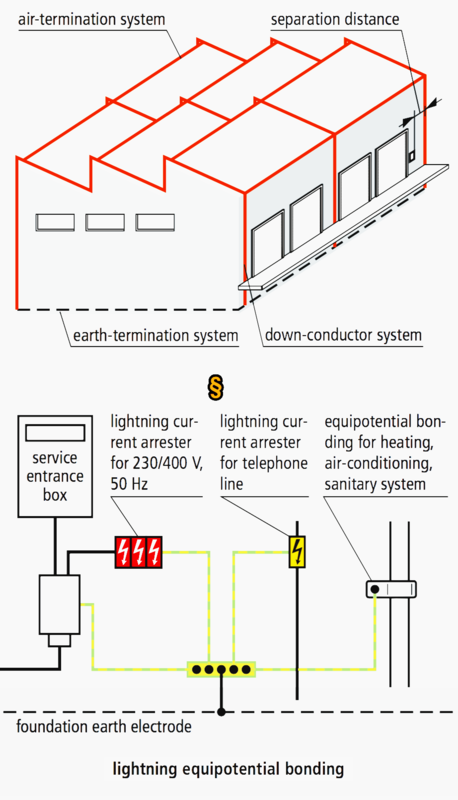 Lightning equipotential bonding reduces the potential differences caused by lightning currents. This is achieved by connecting all isolated conductive parts of the installation directly by means of conductors or surge protective devices (SPDs) (Figure 2). 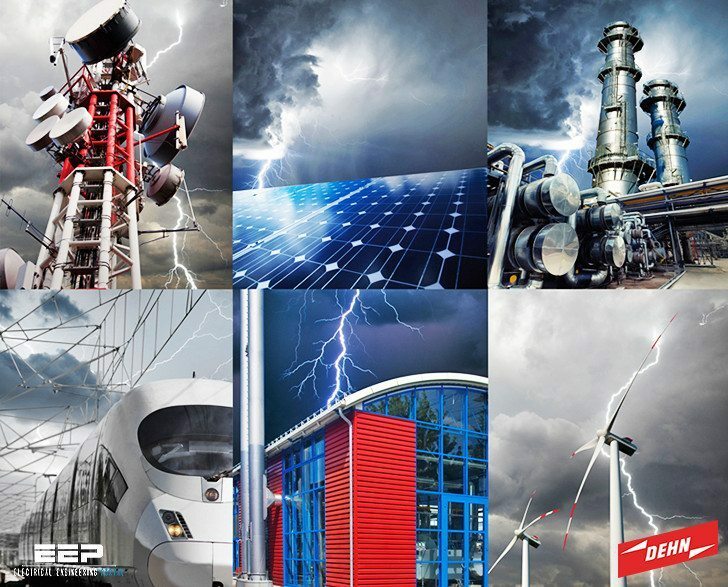 The four classes of LPS I, II, III and IV are determined using a set of construction rules including dimensioning requirements which are based on the relevant lightning protection level. Each set comprises class-dependent (e.g. radius of the rolling sphere, mesh size) and class-independent (e.g. cross-sections, materials) requirements. To ensure permanent availability of complex information technology systems even in case of a direct lightning strike, additional measures, which supplement the lightning protection measures, are required to protect electronic systems against surges. 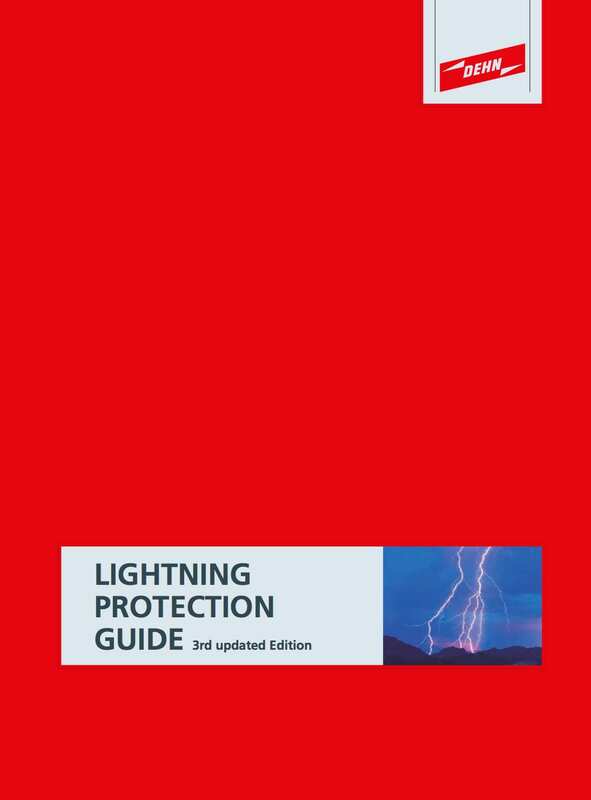 These comprehensive measures are described in chapter 7 (lightning protection zone concept). I found several times the ground conductor for lightning protection passing throw a iron galvanized pipe. As the pipe around de conductor is ferromagnetic this increases the indutance.